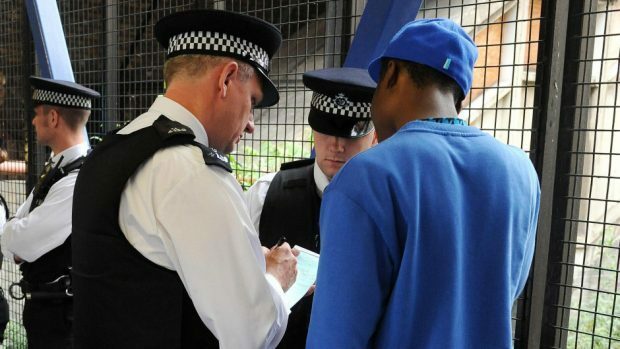 Children as young as 11 are being ordered to turn out their pockets and as young as 15 strip searched by police using stop and search powers according to “alarming” new figures. More than 2,000 people were subjected to the procedure in the north and north-east between April and June, including almost 100 under the age of 16. Newly-released documents have detailed each of these encounters, which include a boy stopped by police in Elgin at 11pm on a Saturday night. Officers suspected the 15-year-old was carrying drugs though they were unable to find any. The boy was the youngest of the 409 people in Scotland to be strip-searched during the three month period, but the documents show police have approached some even younger children for more straightforward searches. According to the details released by police, an 11-year-old boy suspected of carrying a weapon in the Fraserburgh area was questioned in May. That search also had a “negative” outcome. Of the 8,598 searches conducted by officers throughout Scotland, 35% resulted in a seizure, with the items found including drugs, alcohol, knives and stolen property. There was a 23% success rate in Aberdeenshire but this increased to 43% in the Western Isles. Liam Kerr, Scottish Conservative shadow justice secretary, said: “There is a time and place for these powers to be used as stop and search can be a valuable tool in tackling knife crime, for instance. “There’s no doubt, however, that people will be alarmed to hear that children as young as 11 are being subject to stop and search. A Scottish Government spokesman said that, despite the children’s young age, correct procedures are being followed by officers. He said: “While stop and search is a valuable tool in combating crime and keeping people safe, we must ensure a balance between protecting the public and recognising the rights of individuals.